Anime Feminist is two months old today! This month we have exceeded $750 in Patreon pledges, committed to pay all our writers from January 1st, set up a new contributor process to make submissions easier and run more smoothly and launched our first collaboration. While we’re already a Patreon success story for achieving over $750 in pledges in under two months, I’ve now worked out that we need $5000 to provide daily content sustainably. Every single dollar of patronage brings us closer to our goals, the highest of which is simply to pay people. If you appreciate our content, vision or ambitions and can spare $1 a month, please consider becoming a patron – we really need your help. Until we can pay everyone involved in AniFem for their time, energy and expertise we cannot consider ourselves a success, and we are at best 20% of the way there. This is the big one: when our Patreon pledges exceeded $700 I committed to paying all our contributing writers from 1st January 2017. I broke down the numbers in that post, but at our current level of output we need $800 a month to pay just writers. At the time of writing this we are at $761. We will pay all contributing writers whether we reach $800 or not, but any shortfall must be covered out of my own pocket. Obviously I’m hoping it doesn’t come to that! It’s worth the risk though, because being able to pay writers means being able to curate our content to make it more comprehensive and inclusive. Instead of relying on the expertise, areas of interest and availability of volunteers, most of them from the same fandom circles, we can commission people with knowledge and perspectives we don’t have. If you feel that your demographic or an important topic is under-represented on AniFem, please pitch us some ideas to increase this representation! We are preparing a publication template schedule to ensure both contributors and content are reasonably diverse. Every month we will assess the previous month’s output, see which voices and content types we are lacking then actively recruit for them. By spring we should have a full pipeline of interesting, inclusive content from a range of contributors. This would not be possible without being able to pay them, and we would not be able to pay them without support on Patreon by so many of you so early on. Even with $800 of funding and all writers paid though, their work is being edited, hosted and promoted for free. Given the number of sites out there which still don’t pay their writers properly, if at all, we’re beyond proud to have reached this point so quickly. However, we hope that keeping our promise to start paying people as soon as possible will encourage others to become patrons too. There is no conceivable way I could run AniFem as it is without the team volunteering their time; I want to be able to pay them for their non-writing work as soon as possible. This month we also announced our first collaboration, with the great team over at Sakuga Blog! We launched a joint initiative, the Women in Sakuga Programme (WiSP), through which we will recruit, support and pay women (and other people who don’t identify as cisgender men) to write about sakuga. We noticed a lack of diversity in this area and have given ourselves 12 months to do what we can to improve it. There has of course been some backlash, though more directed at the Sakuga Blog team than us. To be clear, their involvement in WiSP will be as mentors, mainly answering questions, offering advice and checking drafts before publication. They are not paying any money, sacrificing any content or changing any of their existing output for this project. They are effectively giving us a portion of their free time (what little they have) to enrich the conversation around sakuga by cultivating new voices from 50% of the population. On starting up AniFem we said we wanted to change the fandom. This is a perfect example of the kind of change we are uniquely positioned to effect. We have high hopes that in 12 months we will be able to look back and quantifiably measure the impact we have had in terms of new sakuga content and creators. We will be looking for more opportunities for collaboration and to establish similar initiatives in 2017. If you have any suggestions on where to turn our attention next, please get in touch! In our one-month update, we said that our first month had been about proving there was demand for our work and “now that this has been proven, it’s time to convert our minimum viable product into a fully and smoothly functioning operation.” This is less interesting than our other accomplishments, but taking care of admin and setting up processes behind the scenes is the most important work we have done this month. We incorporated a company, Anime Feminist Ltd, through which we will be able to pay people. We set up accounting processes to track income and expenditure so we can submit squeaky clean tax returns from 2018. We established a robust editing process and a dedicated submissions form for contributors. I caught up on a lot of email. We have more to do, but our foundation is much stronger than it was a month ago. We will start to go bilingual! We hope to put up our first bilingual interview this week, with a Japanese person who has supplied answers in both English and Japanese. We are translating our first article into Japanese and have another interview lined up with a Japanese creator. There are enough of us on the team who can read and write Japanese at a high level that we hope we can cultivate a bilingual side to our community. Lots of details to work out, but it’s the first step towards breaking down the language barrier between English-speaking and Japanese-speaking fandoms. 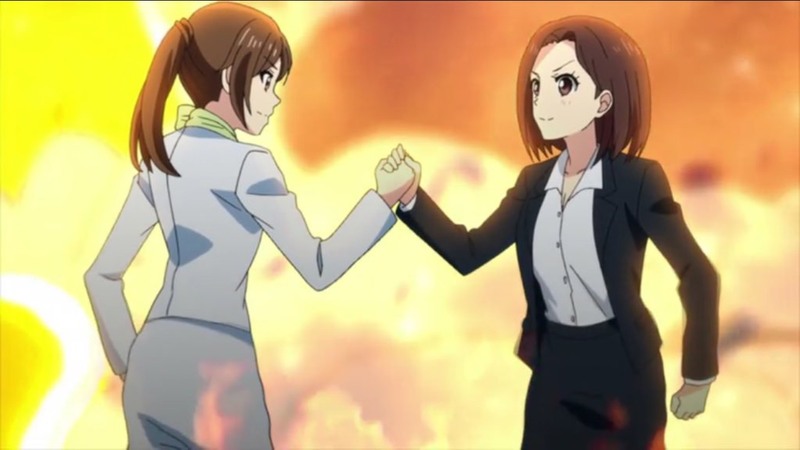 For the first time, AniFem will be up and running through the beginning of an anime season! We plan to review the first episodes of as many anime as possible, ideally from a variety of feminist perspectives. We need to figure out as a team how to make this happen, we’ll send out an update the week before so you all know how it’s going to work. We hope we can be of use to other feminist-leaning fans who want to know which new shows are likely to interest them. We are considering our options for creating content in other media, starting with podcasts. We are still at very preliminary planning stages, but we have a lot of discussion based ideas that will be more engaging through audio than through our roundtable posts. We plan to test out the format in the next month – whether we release it will depend on how we sound! We have other items in the works, but not sure yet if they will come to fruition in January or February – keep us bookmarked or follow us on Twitter to find out! All I can say is that we expect our three-month update to be just as packed as this one, and to have just as many firsts lined up for our four-month update. We’re starting to gain momentum, and it’s truly exciting to be a part of this project at this time.